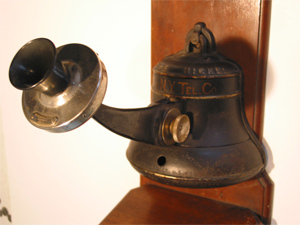 This bell-shaped coin collector is mounted on a Western Electric #85 fiddleback phone. 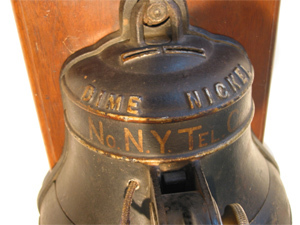 The bell collector was only distributed through the Bell companies on WE equipment. 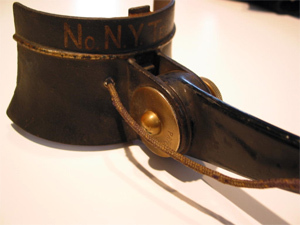 The independents countered with a Gray specialty collector in the shape of a shield - the symbol for independents. 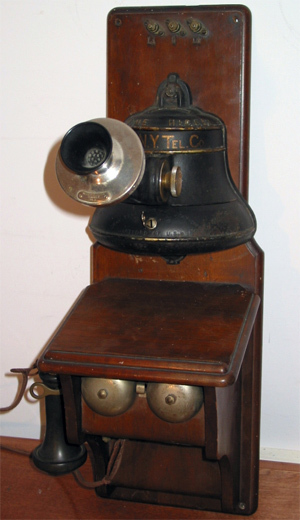 Therefore you will find the Gray shield collector mounted on non WE wood phones. 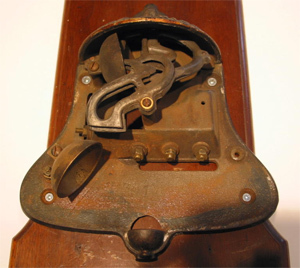 The bell-shaped collector body is cast iron and is comprised of three major assemblies. 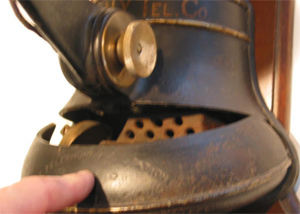 Inside there are lead chutes, one for the nickel and one for the dime. There are two gongs. The dime hits both, the nickel hits only one. Each gong had a different pitch.